David Meyers began his career at Johnson & Johnson, developing marketing strategies for brands like Tylenol. It wasn’t until three decades later, however, that he truly came to understand headaches. After various executive stints with multinational beverage alcohol companies including Remy Cointreau in the U.S. and Moet Hennessy U.K., Meyers took over as president and CEO of Newfoundland-based Iceberg Vodka Corporation in 2011. Established in 1995, it is the largest Canadian-owned vodka brand, but with an approximate 3% market share, its category is dominated by the likes of Diageo’s Smirnoff and the Pernod Ricard-owned Absolut. “We’re still only the ninth-largest vodka brand in Canada, which is a bit ridiculous,” said Meyers last week from south Florida, Iceberg’s biggest U.S. market, where he was meeting with distributors. Meyers’ task is to grow the Iceberg brand against well-funded multinationals in a crowded category that demands constant innovation. Jan Westcott, president and CEO of Spirits Canada, a national trade association representing the Canadian spirits industry, describes vodka as a “hyper competitive” category that is being fueled by an abundance of producers and customers who have grown accustomed to regular innovations and unique flavour combinations. Meyers is convinced that Iceberg has an awfully big weapon in its fight for market share: the 12,000-year-old icebergs drifting through Newfoundland’s “Iceberg Alley” that supply the water used to make its product. Midway through the current fiscal year, Meyers says Iceberg has seen a year-to-date volume increase of 11%, and he expects that growth to further accelerate when its new marketing and branding approach takes hold in the U.S. market. 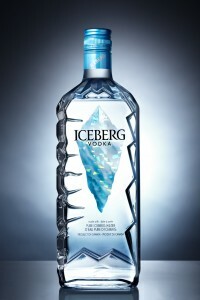 Working with the Toronto design agency Marovino Visual Strategy, Iceberg has “premiumized” its label with a new colour scheme and typeface. Realizing that many people store vodka in the freezer, the new label now features a cold-activated maple leaf that turns red when chilled, a feature that is being promoted through neck hangers. Iceberg is also supplying bartenders with everything from bar mats to cocktail shakers and trying to get them to recommend its vodka to patrons. The marketing is primarily trade focused, with messages appearing on everything from seven-foot vertical banners at events to 4×6-inch postcards distributed at tasting events. Fox and Gazelle has also designed a new website expected to debut in March. The U.S. currently represents about 15% of Iceberg’s business, but Meyers said he would like it to be the same size as the Canadian business within three to five years. Standing out will require significant investment in marketing and product development, and that’s where the company’s new product line comes in. 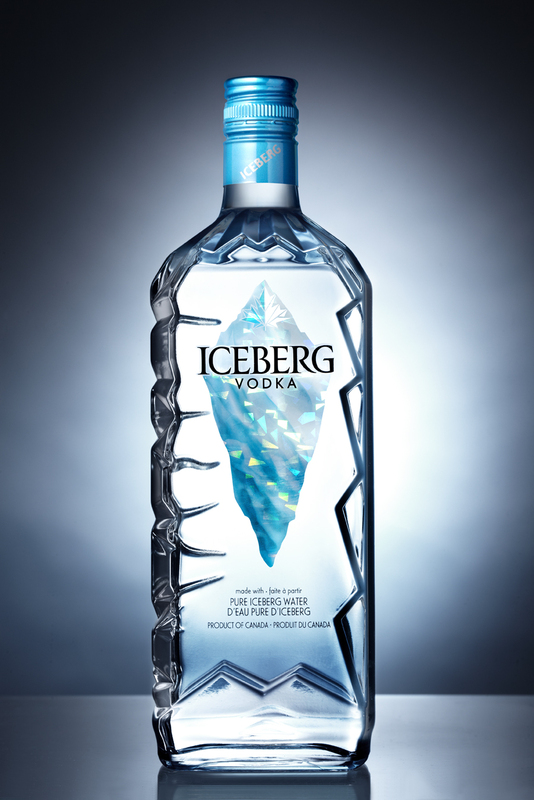 In a nod to the continued growth of flavoured vodkas – which Meyers says comprise approximately 8% of the Canadian vodka market – Iceberg is launching a new line of flavoured products called Iceberg Ice Fusions. The product line is expected to debut in March with three flavours: cucumber, crème brulée and chocolate mint. “We’ve got the re-launch, new products and new marketing. I’m feeling like we’ve got some really good momentum that’s just starting to build now,” said Meyers.